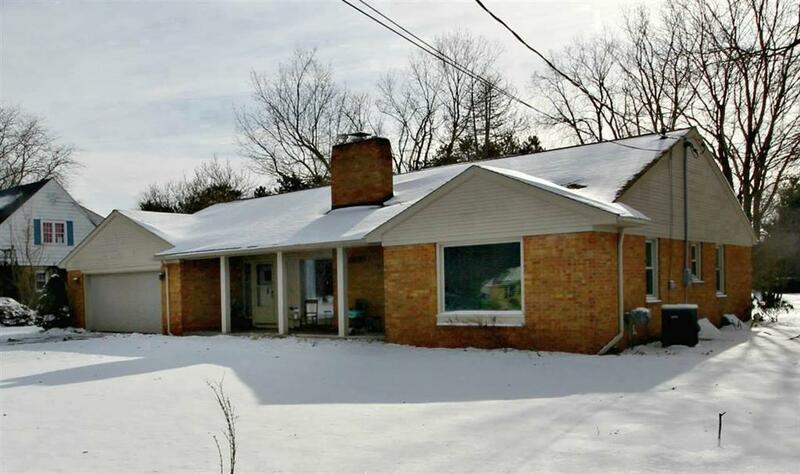 Brick ranch on spacious 1 acre with mature trees. 4th bedroom family room overlooks rear yard. Great room with fireplace. Lots of newer vinyl windows. Newer Lennox furnace and water heater. Finished lower level rec room plus storage galore. Many hardwood floors. Newer lighting fixtures. Kitchen and 1st floor laundry room include all appliances. Wrap around deck. Exclude: Security alarm and drapes. Include: Window blinds.